"Morley’s work can feel like love notes, private jokes, public secrets or a last testament. He provides a cool tonic for the heat and isolation of Los Angeles. " 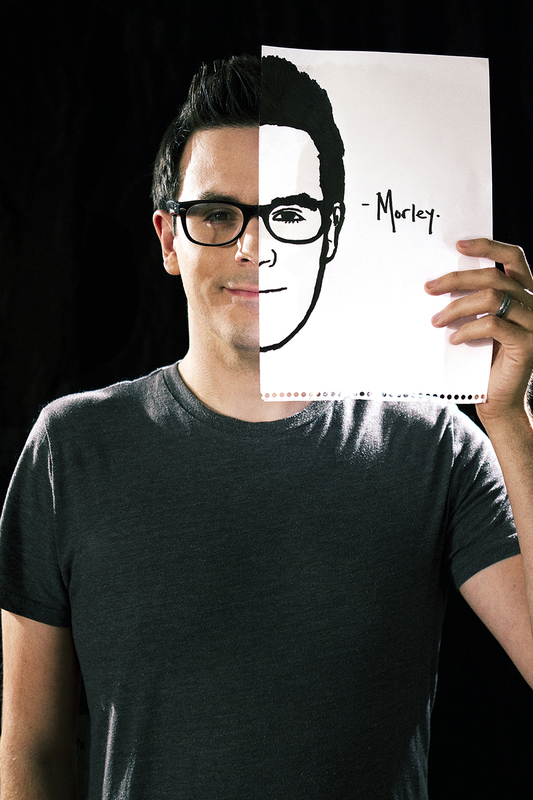 Morley is a Los Angeles-based street artist. Blending humor, hope and his unique perspective on life, he specializes in bold, typographic posters which he wheatpastes within the urban landscape. His work has been featured in The Los Angeles Times, The Huffington Post, LA Magazine and on television networks such as ABC, CBS, Comedy Central, The Discovery Channel, Ovation, Amazon and Showtime. He's toured the country with his book "If You're Reading This, There's Still Time" (published by Cameron + Company), exhibited in galleries around the world and lectured at numerous universities, LACMA and The Artisphere in Washington DC. He was the focus of a national commercial for Toyota as well as an original docu-series from Verizon. He has designed advertising campaigns for Smirnoff Vodka, Bud Light, The Los Angeles Children’s Hospital and the anti-smoking campaign Truth.